Don't let the elements stop you from turning up and giving you're all in training with these Under Armour vanish Woven Training Pants in Black and Jet Grey. Training happens on the pitch or in the streets as well as in the gym. You won't need to let some rain or wind stop you from running your routine when you pull on these training pants from Under Armour. These pants are lightweight and stretchy so you can stay warm during late night football session as these pants will slide right over your shin pads. Any water that hits these runs straight off keeping you dry and ready for action. 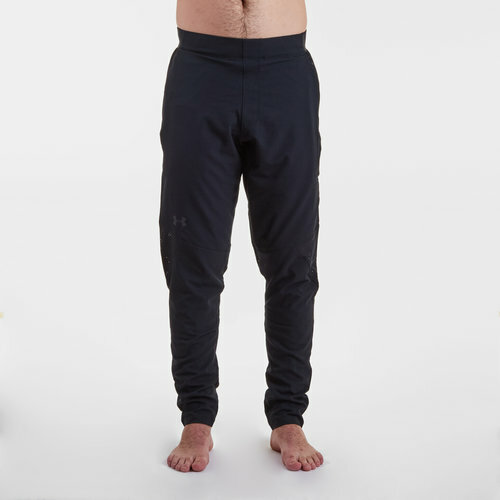 These pants come with open pockets so you can keep your hands warm or store valuables away safely.